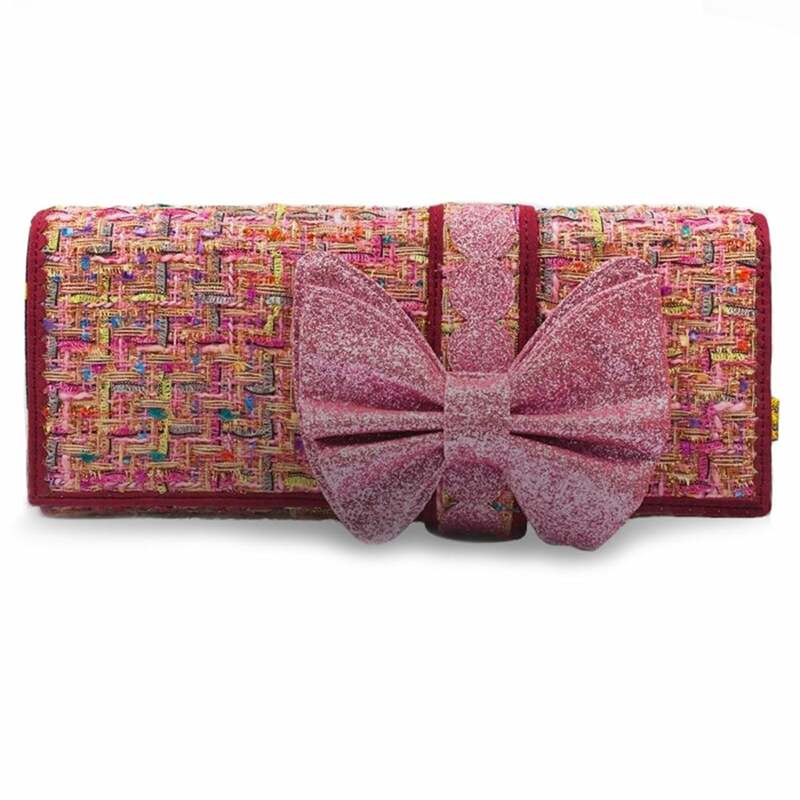 Fabulous stylish clutch bag in a stunning multi-coloured ragged tweed fabric with eye-catching metallic threads running through and a beautiful glittering pink bow across the front from Irregular Choice - similar to the perfectly matched Sundae Sprinkles. Fastens with a magnetic closure on the front flap and has an inner and extra back pocket for your convenience, complete with an Irregular Choice logo on the inside and lined with floral fabric and comes with a removable strap. Irregular Choice Cookies And Cream Bag matches perfectly to the Irregular Choice Sundae Sprinkles shoes.